18g. or 20g wire The length depends on the size pendant you want. Mandrel... you can use anything that is the size you want.... a sharpie marker, a knitting needle, etc. 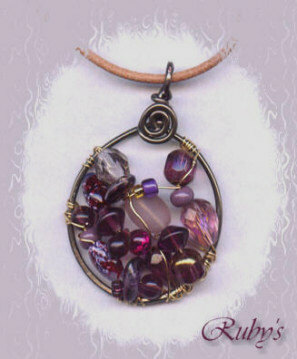 This is a very simple pendant to make, but after starting with this basic shape, you can do so much with it. 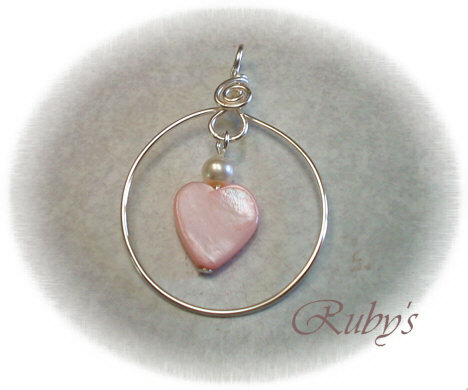 Add long dangles in the middle, coil wire all around the outside, form it into a teardrop, etc. Just let you imagination soar! NOTE: This tutorial prints best with IE (Internet Explorer). It may not print all pages if you use another browser. 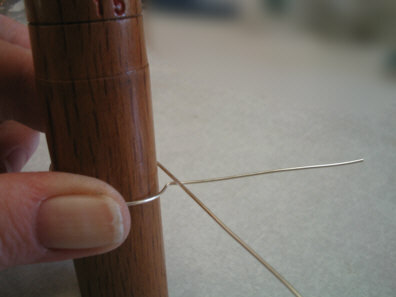 Begin by cutting a piece of wire and wrapping it around your mandrel at the size you want. 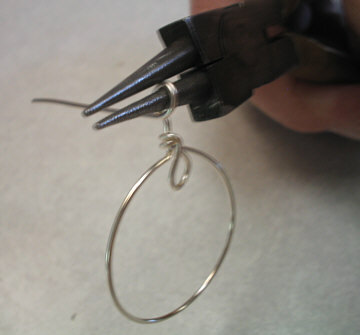 Use your bent nose pliers to make a bend against the mandrel where the wires cross. 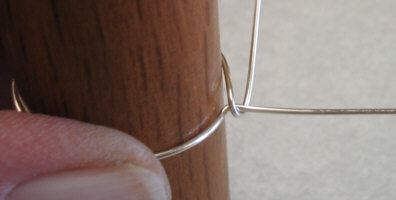 Wrap the straight wire around the bent wire. Make at least one full wrap, then bend your wrap wire straight down in the front so that it's to the left of center just a hair. Then cut the wire at the length you want your loop to be. 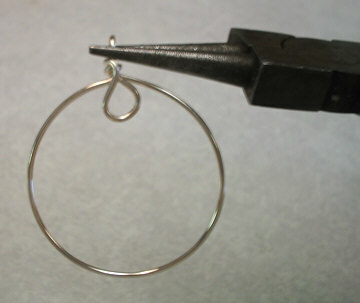 If you've never made simple loops, practice with scrap wire to see what size loops you like, then mark that spot on your pliers, and note how much wire is needed for that particular size loop. 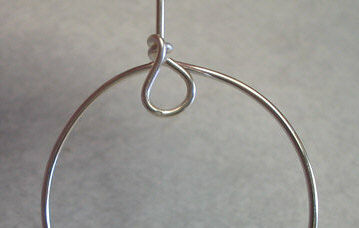 Use your round nose pliers to turn the loop. Grasp the top wire right next to the wrap and bend the wire over the top of the pliers. 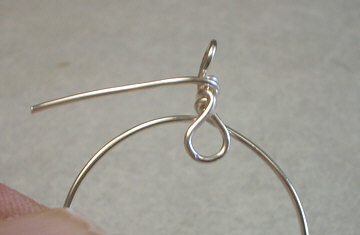 Wrap your wire around the pliers to form your loop. Wrap the wire around until the gap is filled between this wrap and the first wrap. Make a small loop in the end of the wire. 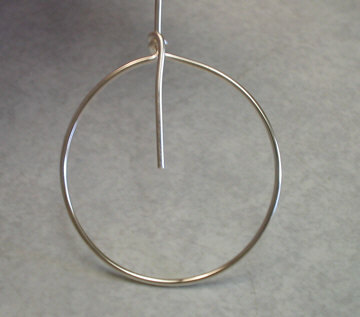 Then keep coiling the wire toward the bail until it's centered over your wraps. 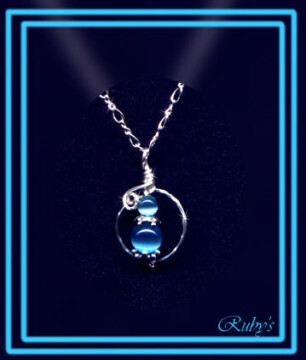 Now have fun hanging things from the loop, and designing a necklace to put it on! 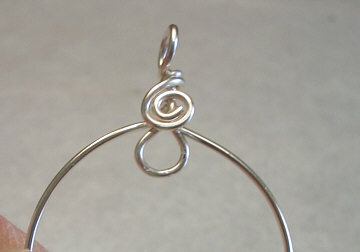 For this one, I started off with 20g square wire, then twisted it before forming my hoop. 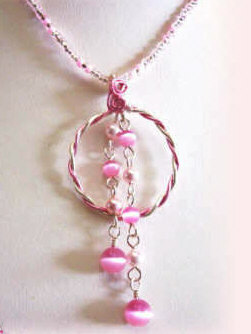 Instead of making a loop with my first wrap, I strung the beads on and wrapped the wire around the bottom of the pendant. This is basically the same thing except I did the top wrap a little different. I twisted together two 20g. wires (1 pink & 1 silver) Then I bent both wires up at the top and wrapped with 26g wire, and used the wrap to hang the dangles. I used the pin vice to twist these wires, and fed the wire through so that the ends would remain untwisted. 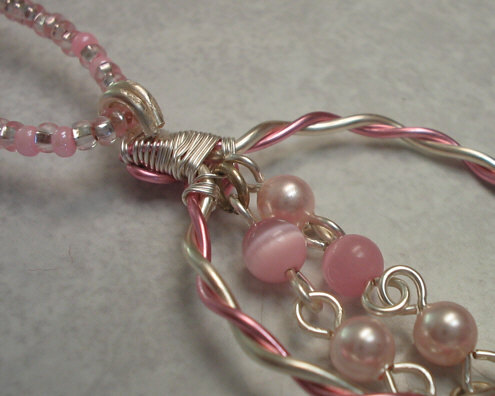 Then I used the silver for the bail, and the pink for the coils. See this tutorial for more help making this type of bail. If you enjoy these tutorials, please donate to keep this site alive! 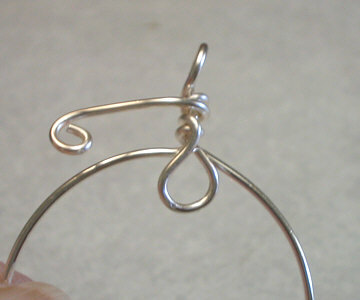 There are several ways to twist wire. For small pieces I just use a pin vice like this one at Wigjig. For longer lengths, I put the end(s) in my portable drill and tighten it down as tight as it will go, then hold the other end(s) with pliers. I pull the trigger on the drill, and zoom! You've twisted the perfect twist! I'd love to see what you make using this tutorial! If you'd like to show your creation here, just email the picture to me, along with info you'd like displayed (such as website, email, etc.) and I'll make a gallery page!